Are you guilty of any of these marketing mistakes? For over 20 years we have implemented, studied, tracked and analyzed marketing efforts and have learned a thing or two. Mistake #1 – Not testing all of your marketing ideas. Corollary: Test all your marketing. Kathy’s comments: Most people shudder at the thought of this because it means they have to do more work upfront and take more time to get it executed. However, a test is far worth the effort and can save loads of money in the long run. Better to only spend money on a small sample, than to dump all of your money on the whole lot and find out it didn’t work. Mistake #2 – Running Institutional Advertising. Kathy’s comments: This is something many practices do all too often. It’s great if you are Nike or Coca-Cola or Apple but not when you are a small business or practice with limited funds to spend. All advertising needs to generate a response. There needs to be a call to action and a deadline. Always. Mistake #3 – Not articulating and differentiating your Business. Corollary: Develop a powerful USP and use it in all your marketing. Kathy’s comments: This is actually bigger than it sounds. Many practices think that everyone or most everyone is their customer or patient. Reality is though, after asking a few pointed questions, that the scope of clients can be narrowed down in most businesses and practices. This is where many businesses miss out because their marketing message instead of being focused on exactly who their client or patient is, is instead diluted to the masses. Mistake #4 – Not having back-end product or service. Corollary: Create a profitable and systematic back end. Kathy’s comments: Sometimes this is hard for practices to conceive of if they aren’t already doing business this way. A little brainstorming session could yield several ideas. Jay has many stories of how he helped businesses create back-end and, in many cases, the back-end was bigger than the initial front-end. Corollary: Always determine and address the real needs of your clients and prospects. Mistake #6 – You must ‘educate’ your way out of business problems…you can’t just cut the price. Corollary: Always recognize that you must educate your client as a part of the marketing and sales process. Kathy’s comments: It really boils down to the value and the results you provide in alignment with the client’s needs. The more value and results you provide, the more money people are willing to pay for it. Mistake #7 – Not making doing business with your company easy, appealing and fun. Corollary: Make doing business with your business easy, appealing and fun. Kathy’s comments: I would say as an aside to this that the reason why should be based on a “deep” need the client/patient has. Not just what they say they are looking for. Their real reason usually is much deeper than what they tell you. An example would be a patient with a broken tooth. They may say they want to fix that tooth so they will look better and be able to smile again but the deeper reason is to get rid of the feeling of inadequacy and lack of confidence they are experiencing by having the broken tooth. Mistake #9 – Terminating marketing campaigns that are still working. Corollary: Don’t stop marketing campaigns that are still working just because you are tired of them. Kathy’s comments: Or in other words, you are NOT your client or patient. I have to tell clients this a lot. Mistake #10 – Not specifically targeting your marketing. Corollary: When you prepare your marketing, focus on the intended prospect and no one else. Kathy’s comments: This goes hand in hand with Mistake #3. Mistake #11 – Not capturing prospect & addresses, email addresses as well as pertinent contact information. Corollary: Capture everything on a prospect or client that you can in an organized, retrievable system. Kathy’s comments: Goes on more often than you might think and it kind of amazes me. 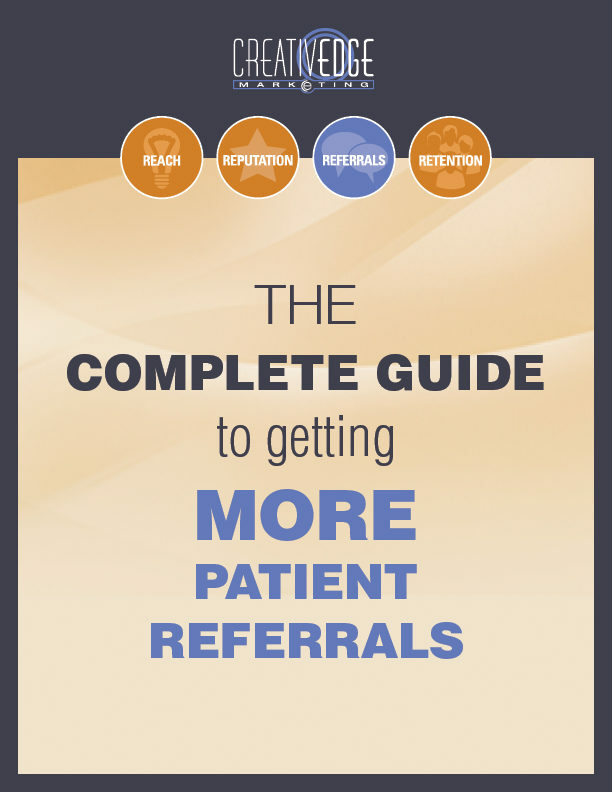 When all is said and done, your business boils down to your client/patient database. Without that, you don’t have a business. Mistake #12 – Not being strategic. Corollary: Always having a strategy which tactical actions and methods are integrated into. Kathy’s comments: Again, too many practices do shotgun approach marketing and shockingly it doesn’t work very well. Marketing power comes from integrating all the pieces parts. Mistake #13 – Not having a marketing or sales system. Corollary: Have a marketing and sales system in place and refine it continuously. Using letter/call/letter call or email/letter/call strategies. Kathy’s comments: I love this one! This is the beat of my drum… call me for help with this! Mistake #14 – Not taking advantage and integrating the Internet into every aspect of your marketing and sales efforts. Corollary: Integrating the Internet into all your Marketing and sales activities. Mistake #15 – In sales situations, shooting from the hip. Corollary: Constantly using and refining a sales script. Kathy’s comments: Who hasn’t heard or seen sales presentations like this? Waste of time for both the client and the salesperson. Corollary: Always be willing to change. Mistake #17 – Not reinvesting your profits. Corollary: Always parlay your success and momentum into greater achievement. Kathy’s comments: The best return on investment you can make hands down is in your own business. Not the stock market, bank or real estate has ever shown returns you can get when you invest in your practice. Many practices and businesses treat marketing as an expense. It is an investment and should be measured like an investment, showing ROI. Mistake #18 – Not knowing and leveraging the lifetime value of a client. Corollary: Always understand the lifetime value of your clients. Kathy’s comments: Sometimes this can be hard to figure out, especially if your business has several different segments. Once you know this dollar amount, it makes decisions on marketing spend much easier to make. Mistake #19 – Not maximizing your assets, relationships, opportunities, resources, etc. Corollary: Always explore and maximize your resources, assets, and opportunities. Kathy’s comments: Jay goes into a lot of detail about this in many of the books and articles I’ve read. Corollary: Do your best to integrate marketing components into all your operational and backend processes. So there you have it. If you are guilty of these marketing mistakes…STOP! 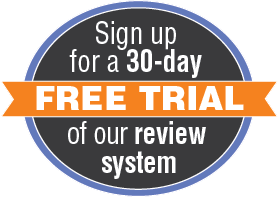 Rethink your plan and move forward to increase new customers, patient retention and profits. 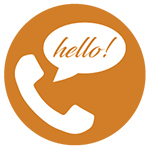 We are just a phone call away if you have questions regarding your marketing. If you are net yet a client of ours, we would be happy to schedule a complimentary 45-minute strategy session to talk about your marketing efforts and goals and help you grow your practice.